As the results are out, nightmarish stories of students scoring a zero on their mark-sheets emerge. The question remains- are such major human errors forgivable? Over the years, the checking and rechecking process at the Delhi University (DU) for its semester exams has been a subject of great disappointment. This year too, stories of some major discrepancies between the marks expected by the students and the marks they have scored have arisen, but the most shocking is the story of nine girls scoring an absolute zero in their fifth semester. On 22nd January, 2019 the results for 3rd year students of BA (Honours) History were declared. Nine girls from Jesus and Mary College scored a zero in their transcripts in the paper named ‘Modern Europe’. The girls have consecutive roll numbers, and sit consecutively in the examination hall as well. One of the students told DU Beat- “Firstly, it’s almost next to impossible to score a zero in a theory subject; it’s only possible if you leave the whole answer sheet blank. Secondly, it’s the fifth semester for those girls; they can’t afford to have this major discrepancy in their transcripts. 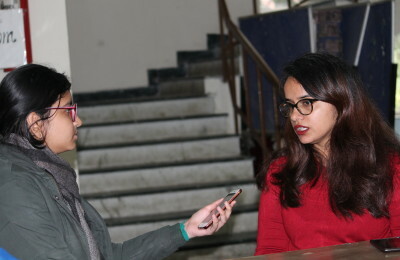 Girls have to apply for higher studies, some aspire to go out of India, and deadlines are approaching really fast.” Similar stories have also been heard from Human Resource Management (HRM) courses at the College of Vocational Studies and in the History Departments of Maitreyi College and Dyal Singh College. Two History students from St. Stephen’s College also got a zero in their mark-sheet. In order to prevent an unjustified and undeserved backlog, a fast-track result of the aforementioned procedure is integral. Such technical glitches are plausible, but their quantity has increased over the years. These errors not only show the University in a bad light, but also disturb mental and physical peace of many students and their families. Being the foundations of education, it’s high time that these institutions take necessary steps in ensuring correct and timely checking and rechecking of answer sheets, to prevent losses in the students’ future endeavours.